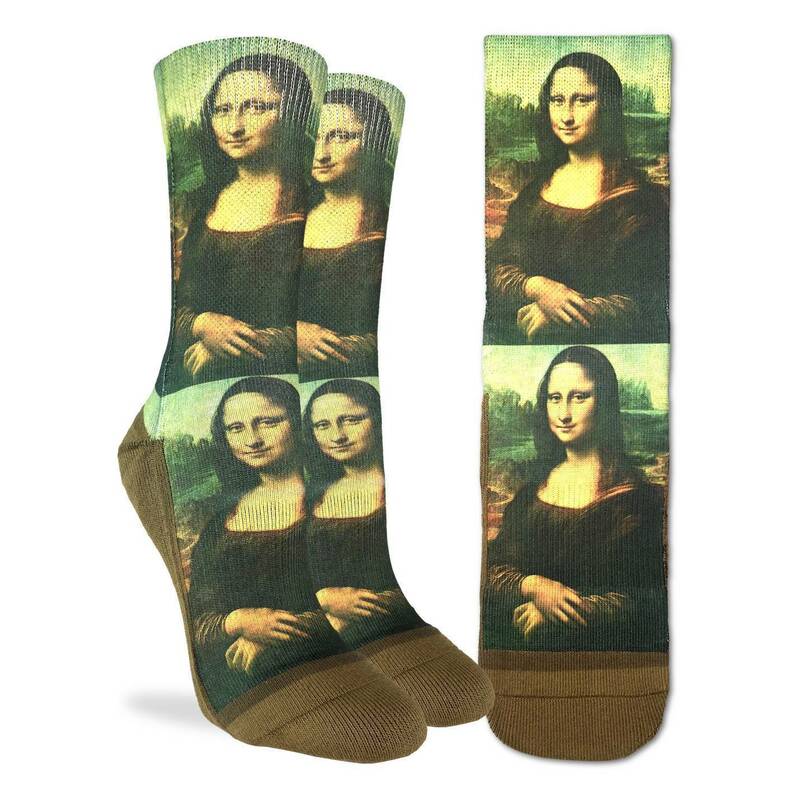 A fan favorite, these Women’s Da Vinci’s Mona Lisa Crew Socks will turn your next outfit into a work of art! 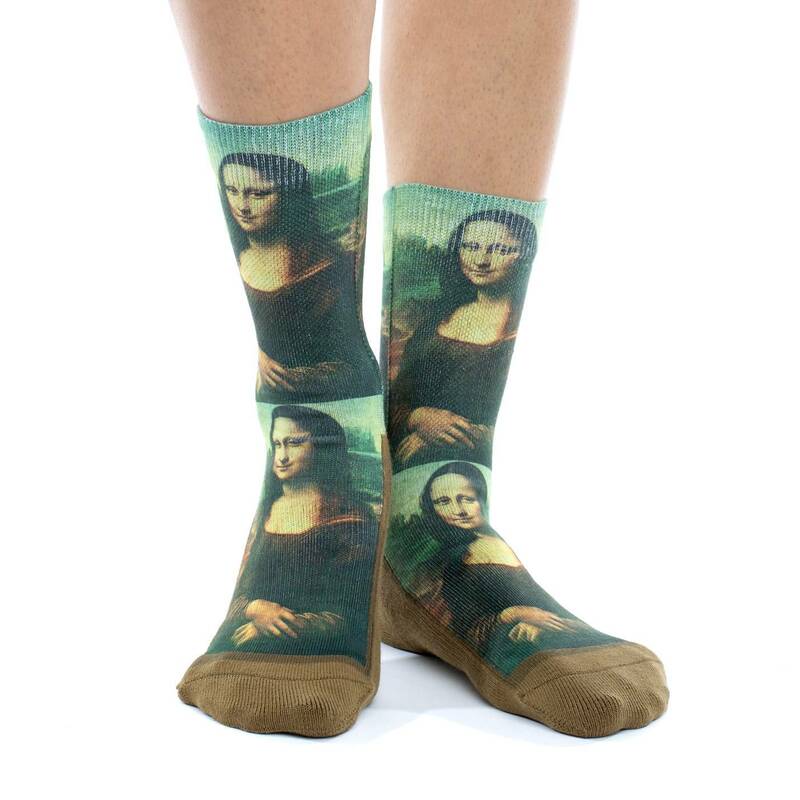 These stylish novelty socks feature the mysterious smiling young woman from Leonardo da Vinci’s world-famous painting, “Mona Lisa”. These fun and colorful dress socks are a definite conversation starter and the perfect gift for any occasion.